It looked like a bachelor party and prom rolled into one! 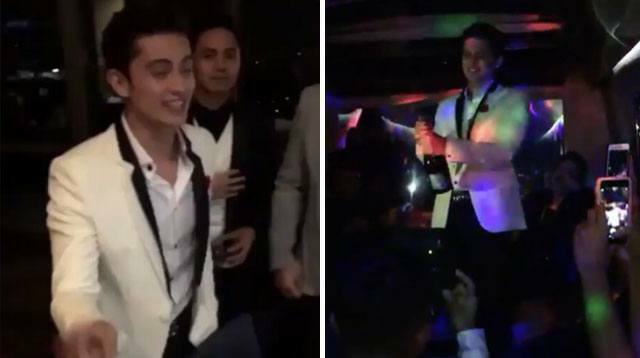 It's common knowledge that James Reid and his crew do know how to party. With one of their main players celebrating their birthday yesterday, last night's festivities just had to be more ~epic~ than usual. The king and queen of the night (James and Nadine Lustre, duh) were decked out in white—with the birthday boy looking dapper in a suit and his girl in a beaded mini dress (that gave out serious Balmain vibes). And of course their friends had to dress up for the night as well! Spotted: Lauren Reid, Kiana Valenciano, and Tricia Ramos. Afterwards, they went on to partaaaaaay (just like them American movies, no?) in their Black Fleet party bus. Lit AF? No doubt about it.